Now this is a very interesting quilt description: I had mailed the quilt to the recipients before I took any pictures of it. 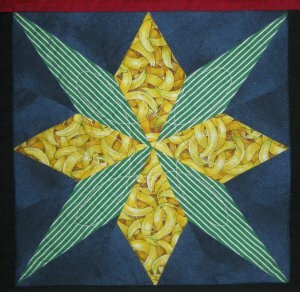 Not only that, I also neglected to *write down any particulars* about the quilt. I can't believe I was so negligent! 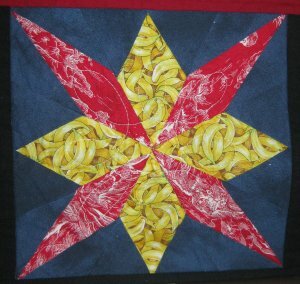 The recipients were gracious enough to take pictures of the quilt when they got it and send them to me. And then the pictures languished for lo, these many years. 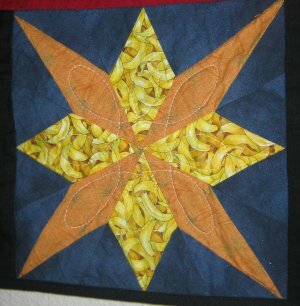 It wasn't until now (2012) that I realized that I hadn't made a page for this quilt. Good gosh ... there was just no way I could remember any sort of details about what and why and how I did anything. How very, very annoying. 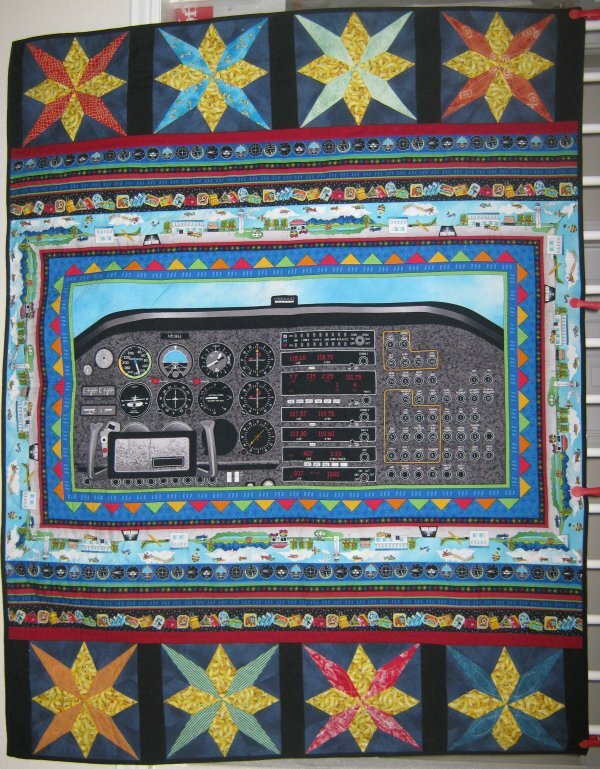 There was also a border print associated with the cockpit, so those borders were sewn to the top and bottom of the panel. 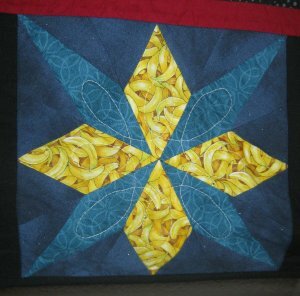 And to make the quilt a useable size, I expanded it further with star blocks.